Widely proclaimed a classic work of Christian faith, Life of Christ has been hailed as the most eloquent of Fulton J. Sheen's many books. 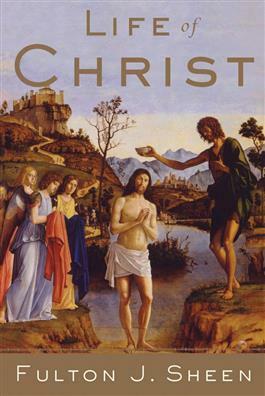 The fruit of many years of reflection, prayer, and research, it is a dramatic and moving recounting of the birth, life, Crucifixion, and Resurrection of Christ, and a passionate portrait of the God-Man, the teacher, the healer, and most of all the Savior, whose promise has sustained humanity for two millennia. With his customary insight and reverance, Sheen interprets the scripture and describes Christ, not only in historical perspective, but also in exciting and contemporary terms, seeing in Christ's life both modern parallels and timeless lessons. His thoughtful, probing analysis provides new insight into well-known Gospel events.